Vittoria latex bikes tubes are faster, more comfortable to ride, and less likely to flat. Nothing adds more speed per dollar than latex tubes but latex isn't for everyone. If you want to go faster and are willing to spend a little extra time learning how to install then they are for you. - They are faster - Rolling resistance is a big factor slowing you down. Latex tubes have lower rolling resistance than standard butyl tubes. The actual saving will vary based on how fast you are going and your weight. Those at the front of the race can save three to four minutes in an Ironman while someone at the back, who is heavier, might be able to save double that. Regardless of the actual times savings, think of it this way, the savings going from butyl tubes => latex is greater than going from a standard training wheels => 80mm deep aero wheels. However you don't have to pay $3,000 for a set of latex tubes. - They are less flat prone - Contrary to popular belief they are less susceptible to flats than butyl tubes. However they get a bad wrap if you read reviews, talk to the typical shop employee because these people are not installing them properly. Simply put the installation process is a little more involved but if you take your time you won't have issues. - They handle better - Many people believe they handle better because they are so supple they are able to deform more easily and grab the road better. - They are more comfortable and will leave you fresher for the run - Because latex is so supple they don't transmit as much vibration to your body. 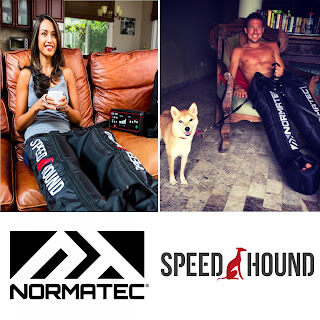 For Ironman triathletes coming off the bike this can be a huge advantage. - No weight difference - you standard durable latex tube weighs about the same as the standard butyl race light tube at about 75 grams. - Tire sealant works better in latex - the chance of sealant sealing anything in butyl is not great. Usually sealants are made of latex themselves and have a much greater chance of sealing punctures in latex tubes. - Require frequent pumping - Latex tubes leak air a lot faster than butyl. They leak about 1 psi per hour. If you race latex tubes you have to pump them up on race morning. Adding sealant to latex tubes drastically slows down the rate of air leaks. Some people don't like this aspect for training so I suggest to those people just using them for racing. - Requires careful installation - Latex is very sneaky and if you aren't careful in the installation process the tube can sneak its way underneath the bead of the tire and get stuck between the tire and the rim. When you pump up the tire the tube will explode. This is a very common installation issue that has lead to a bad rap by some of latex. - Requires different rim tape - Because latex is very sneaky you will have all kinds of mysterious flats and issues if you use the cloth rim tape that likely came with your wheels. Instead you need a special product called rim tape. As an added benefit it is both thinner and lighter than the rim strip. Being thinner actually makes mounting tires easier. I have also used Veloplugs with latex. When it comes down to it, I always go back to tape. It is the most reliable way to run latex. 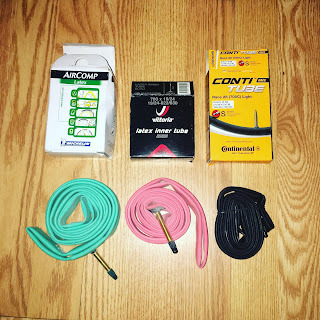 - Harder to source - Most local bike shops don't carry latex tubes so you will have to buy them online and I suggest in bulk. Shortages of latex during crucial racing months have occurred. Always good to order 4, 6, or even 8 at a time. - More expensive - They are usually a couple of dollars more than something like a Conti Race butyl tube. Vittoria Latex Tubes - I have used brands including Bontrager, Michelin, Vredstein, and Challenge. When it comes down to it Vittoria are the most reliable and they also have removable valve cores so you can add sealant or just replace the valve when it breaks. Their valves are 51mm in length and come in two sizes - 19/23 and 24/28. Get the size that matches your tire width. Stans Rim Tape or Silca Rim Tape - Stans is the defacto standard and works great. For a few dollars more there is Silca tape, which is what I am now using myself. The Silca tape is a little thinner and lighter and also slightly transparent so I can see things like the serial number if I ever needed it. Being thinner is the main reason I got it as it makes mounting tight tires even a little easier. 21mm is recommend for most wheel road wheels (17-19mm internal width). HED JET+ and Specialized Roval (21mm internal width) you will need the 25mm. Conti Race Tubes - Even if you don't want to go with latex you can still save roughly 1/3 of the energy savings (1-2 minutes per Ironman) by switching to a thinner race day butyl tube. These Conti Race tubes are thinner than a standard tube, but still extremely durable. The ultrathin tubes (Conti Supersonic) is not durable and I do not recommend them after many bad experiences. Orange Seal Sealant - Orange seal is my preferred tire sealant for sealing for both flats and reducing the natural rate of air loss from latex tubes. It does require you to remove the valve core. In an independent test it performed best in sealing various punctures of various sizes. Thomas, I litterally just put latest tubes in my Flo 60/90, first time ever going latex. I have never heard the rim tape/strip suggestion before, I have a flo rim strip in one wheel and standard rim tape in the other. Should I redo this? I managed to get both tubes in and inflated to 100psi without puncture yet, but am still a bit nervous with the transition to latex...dumb I know. Yes you can't use regular rim strips. 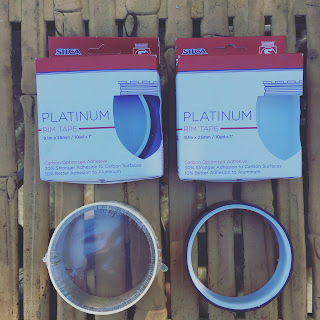 It might work for some time but the reason people have so many problems with latex is because they don't know the stock rim strips causes issues. I would do it now rather than later if it was me. when using orange seal, do you know how much you are supposed to add to the tire? It depends what you are using for. To reduce the amount of air leak or to seal leaks. 30-60grams is a good amount. hi thomas, great post. i was reading on putting on latex tubes. Some said you need some powder / talc on them before installation. If so what do you use? IME Vittoria tubes come with a little bit of talc already on them. This isn't the case for Challenge tubes. Regardless, I don't re-talc the tubes when I take them out and reinstall and don't have issues. I prefer to pump up to 20psi and make sure there is no tube peeking out. I put a lot of talc on both tire and the tube . This way the tube never stick on the tire (even after months) and will be less "hernia" prone. It is easier to instal by hand too. Other thing, i prefer to remove the tire without tools when possible to exclude pinch risk. I think i might want to upgrade to latex on my race wheels. Any hint when you put out the installation guide? And do you have to remove the "rim tape" that came with the rims, or simply put for example the stan´s on top? Thanks for your post ! I have to realy change my Mavic rim strip to a rim tape even if it worked well for me in the last 3 years (only one puncture and fortunately in my saloon). The only problem that it will be impossible to true my Cosmic wheels. You mention the Vittoria Pitt Spot is good to carry on de bike but the Effetto Mariposa is normaly a better idea because it seals way better and is usable on disk wheel. With my discs I have been able to get the Pit Stop in there but depending on the valve hole size of your particular disc, yes something like Effetto may work better for getting into tight spaces. 1. RIM TAPE: Zipp supplies rim tape with their wheels but as I'm sure you know it's not so much "tape" (it doesn't adhere) as it is basically a thick, plastic, non-adhesive loop. Do you still recommend going with Stan's tape instead of that? 2. HEAT BUILDUP: Also, one possible disadvantage you did not mention is the possibility of heat buildup on longer descents with latex and carbon clincher rims. I'm reading this everyhwere. In fact, Enve even specifically recommends against latex in their Carbon Clinchers for this (and other) reasons. I can't find any recommendation from Zipp one way or the other but I'll admit I'm a tad nervous as I have Challenge Roth coming up. I'm considering just going to Butyl to be safe. Can you talk me down from this? #2) I haven't heard of of any actually issues with latex on carbon clinchers. I am aware of the position by the companies, and I believe this is mostly a legal thing and my position is to follow the manufacturer's instructions (a legal thing for me as well). The reality is though if you can't use latex then you wheels are going to be slow. I have seen many carbon wheel melt at the brake track. I have NOT heard or seen of a Bontrager, Enve, Specialized or Zipp carbon brake track melt. Reynolds and other brands, mostly generic, I have seen the problems on. The reality is that if you ride carbon you are probably familiar with the poor braking but yet tons and tons of people choose carbon for really no good reason. Thanks for the answer (and the original post.) I suppose I'll stick with latex and pick up some Stan's tape and re-seat my tubes. As far as choosing carbon clinchers... well for me it was a matter of wanting the particular wheels (Zipp 808 + Super 9) and putting up with the carbon braking. I wish that Zipp still made carbon wheels with aluminum brake tracks but they dont. In a few years we'll probably all be using disc brakes anyway, whether we want them or not. Guess I'll buy both 21 and 25 Stan's tape and see which fits best. You will want 21mm with Zipp at the internal rim width is 16.25-17.25mm on them. Zipp is a great choice for Carbon Clinchers if you are going to ride carbon. Tim the air bubbles are fine they should get pressed out with the pressure from the butyl tube. I am planning on doing the links but it might be a while. There are a bunch of videos on youtube though already regarding rim tape installation. I've bought/used the orange seal rim tape and I think I've seen Stans before. HED ships their wheels with adhesive backed rim tape similar to if not identical Stans. Enve does as well. Yes it is totally acceptable. These companies don't manufacturer the tape, it is likely 3m or another similar company and they just rebrand it. Two loops is the preferred method for safety reasons.